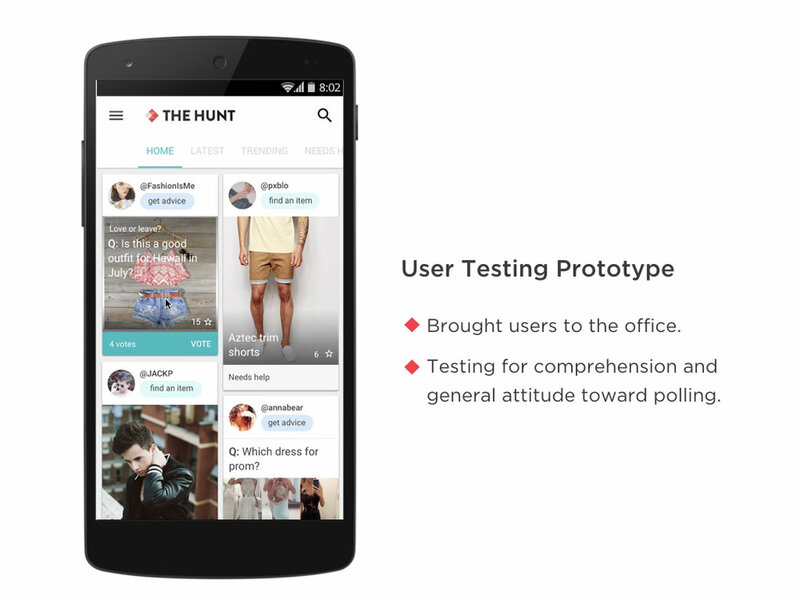 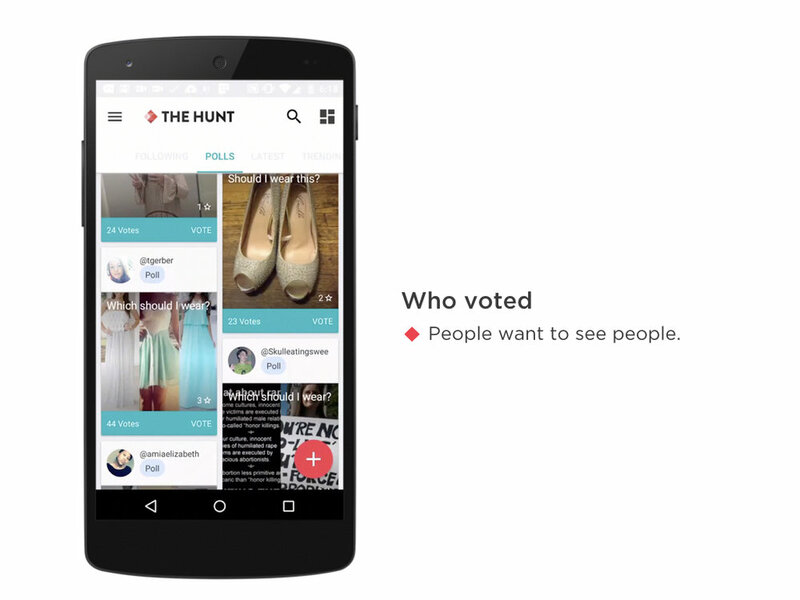 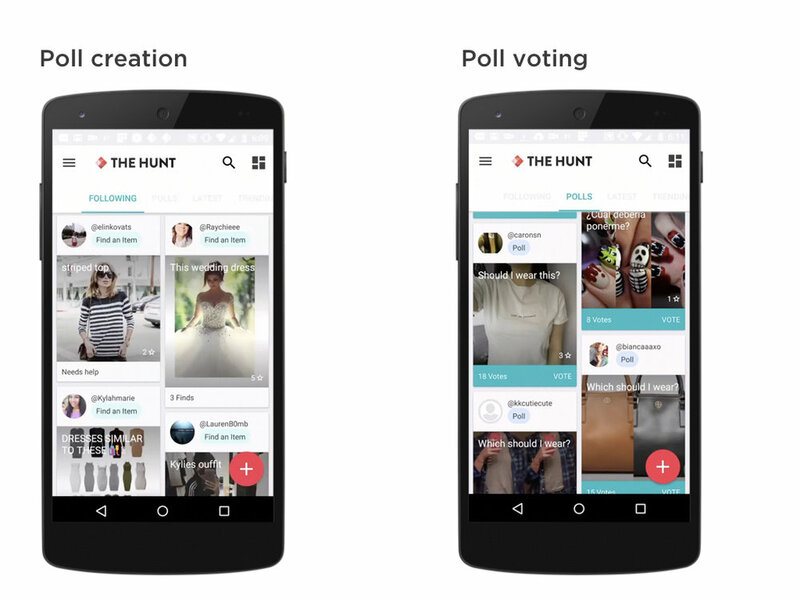 The Hunt is a fashion question-and-answer app to help you find exactly what you’re looking for, get styled, or decide between two or more items. 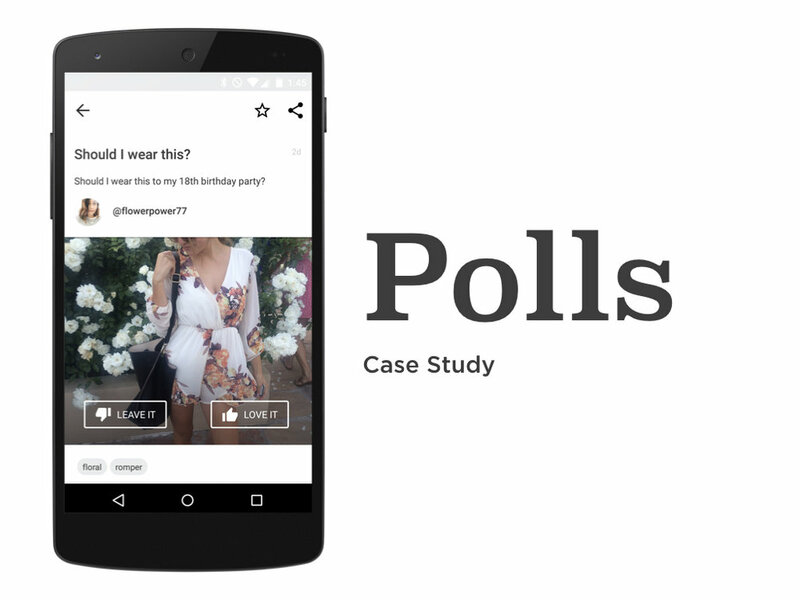 It was very popular amongst teenage girls, and it was selected as Editor’s Choice on the Google PlayStore and featured several times on the App Store. 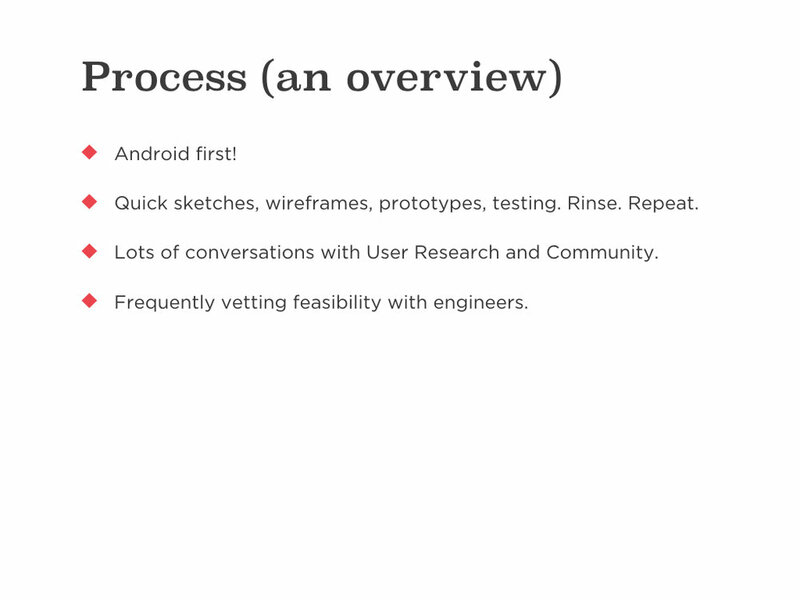 I was a senior product designer on the design team responsible for designing features from brainstorming, wireframes, user testing, prototypes, mocks, and working with engineers to implement on iOS, Android, and web. 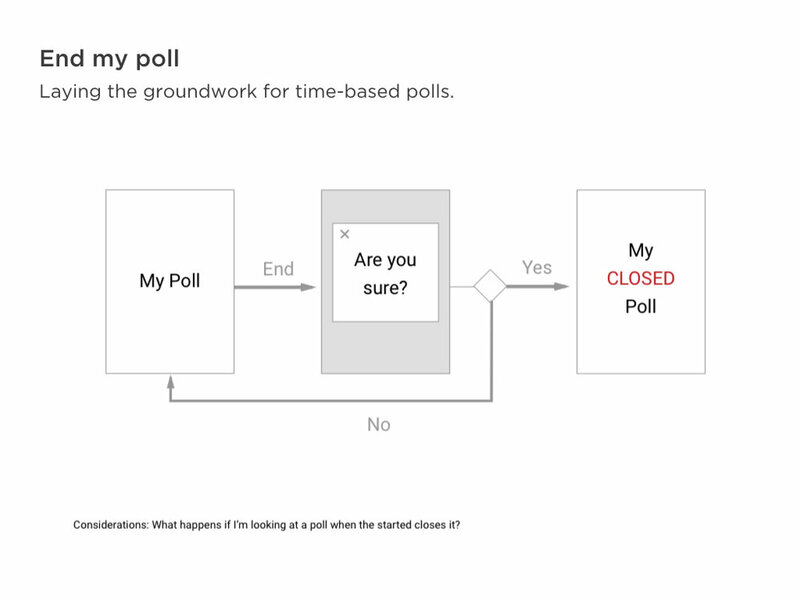 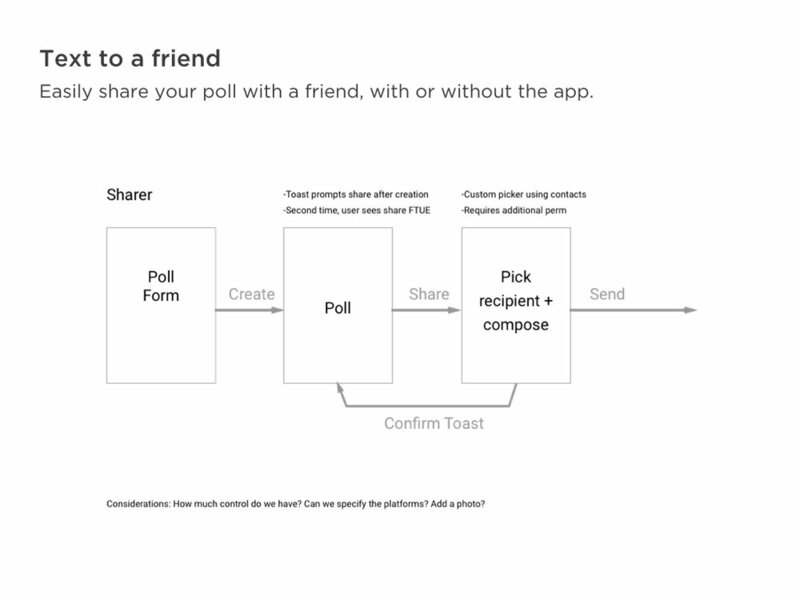 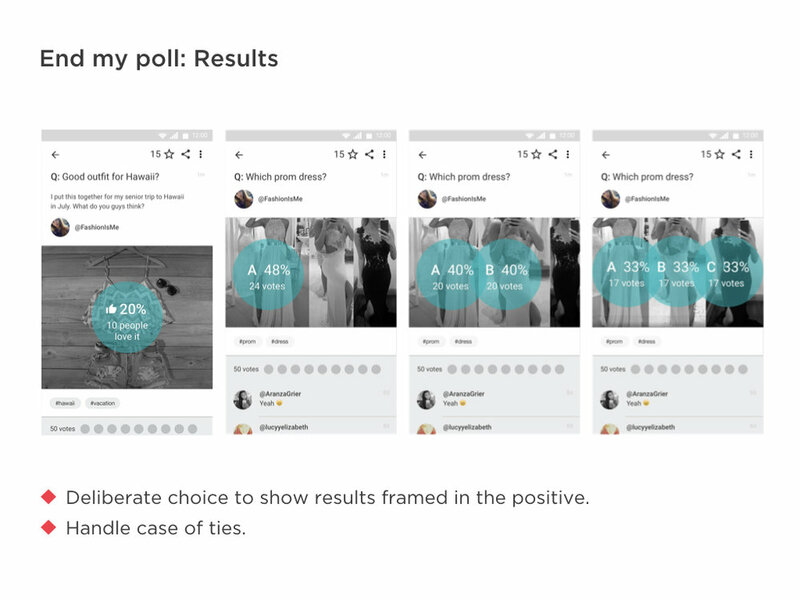 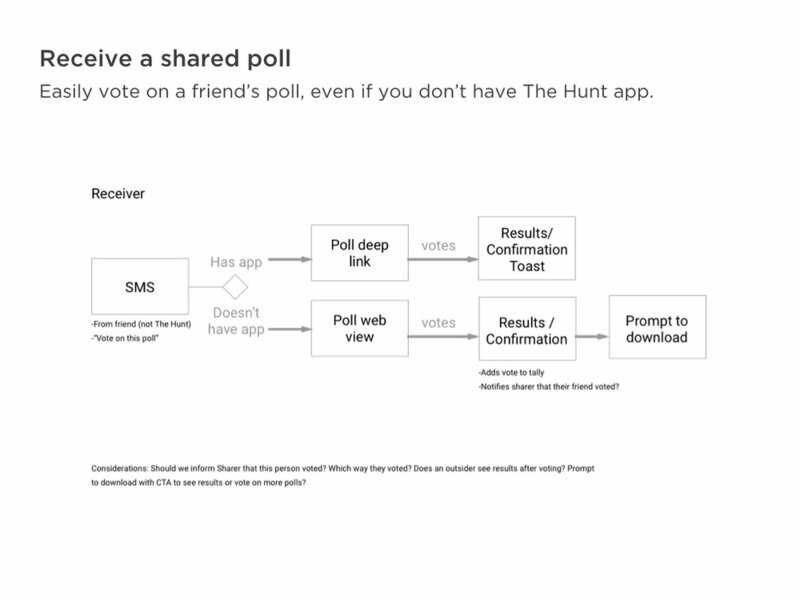 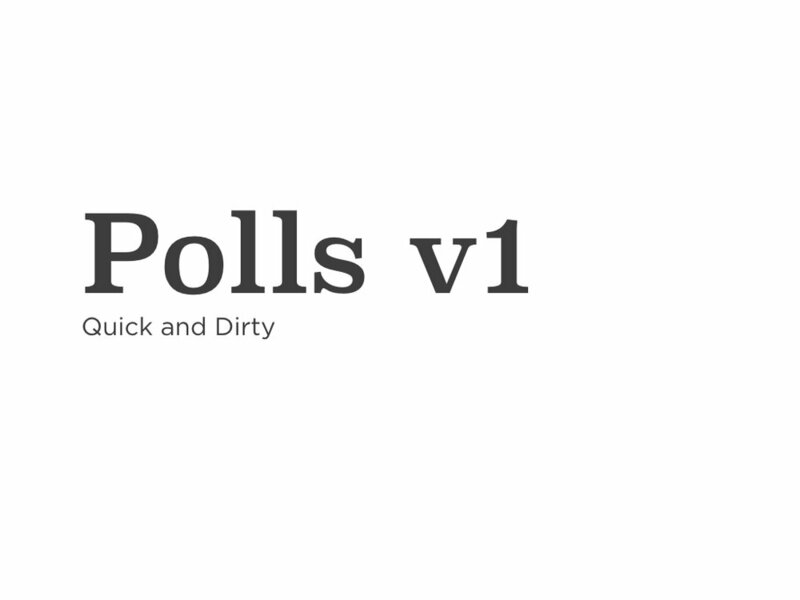 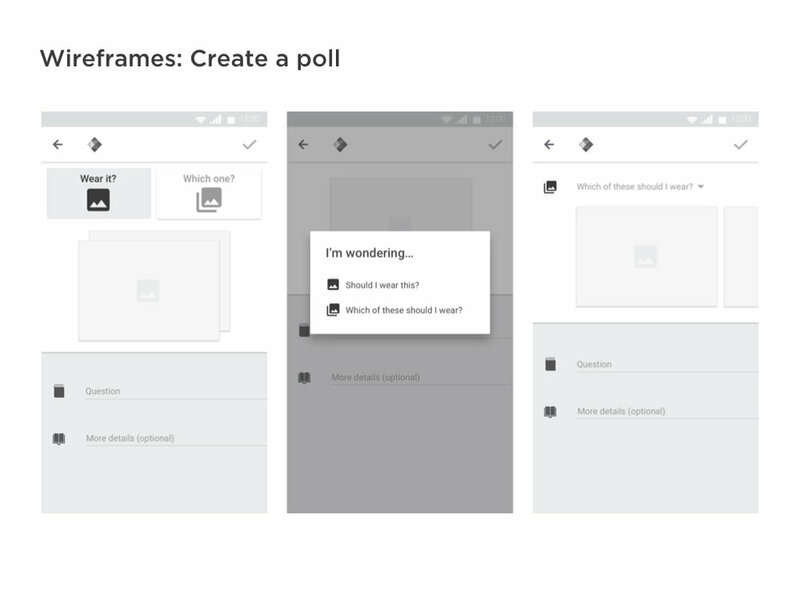 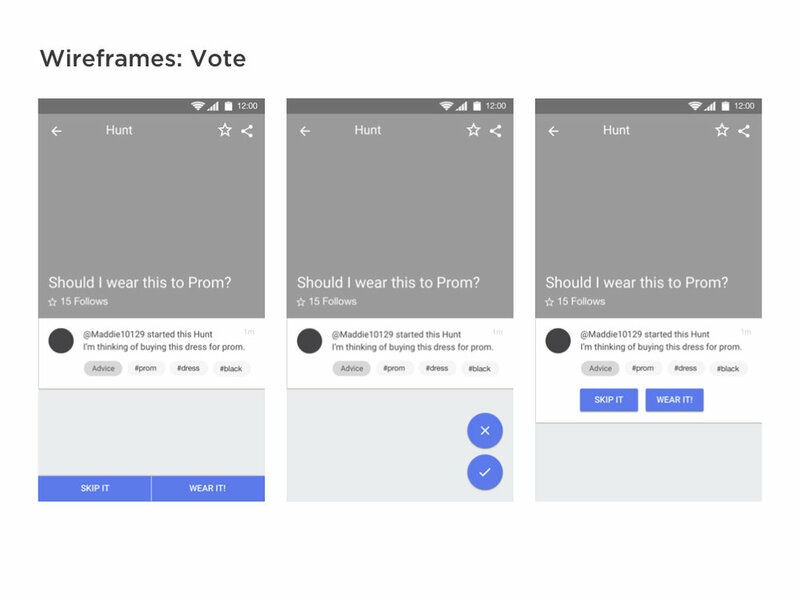 I designed and iterated Polls—the first new content type on our app—on iOS and Android, resulting in a 40% increase of retention in users who started a poll. 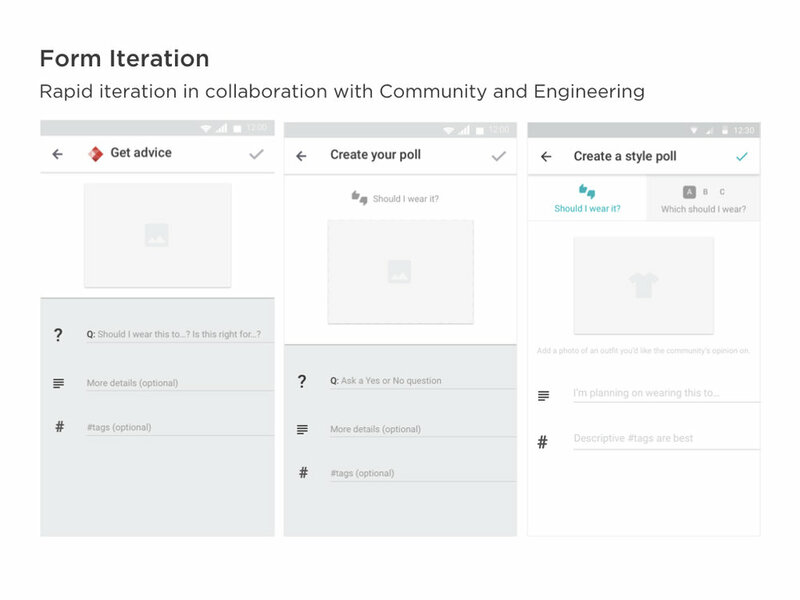 See the slideshow below to view the process of creating and iterating this feature.